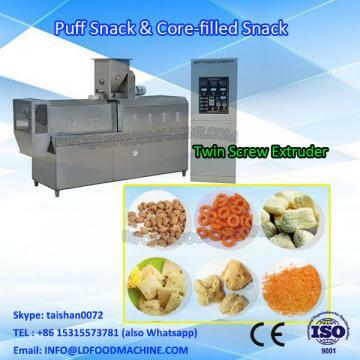 This Fried doritos tortilla triangle chip processing line uses corn powder, corn starch, and rice powder as main materials which are extruded, compounded into triangle, round, square shapes. After fried and flavored, the final snakcs will be crisp and take like the brand in the market, doritos and tortilla. During compound shaping, some waste eLDes will be cut down, but it can be reused by grinded into powder and fill in the raw materials in certain proportion. 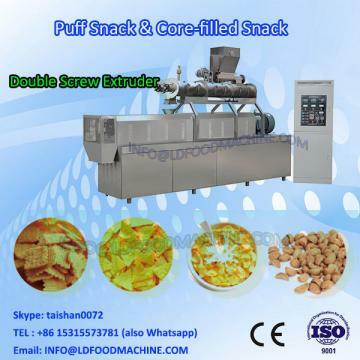 So this processing line can maximumly lower the production cost. To mix up raw material equally like wheat flour,corn flour and so on. Make the Tortilla Doritos Chips by high temperature and high pressure. To make the pattern in the Tortilla Doritos chips. To make the the triangle shape or round shape Tortilla Doritos chips..
Frying Doritos and Tortilla Chips Snack. LD ingredients to Doritos Tortilla Chip Snack.